It's a hot, lazy summer day. You just want to chill, in every way. But ugh, you probably should prepare some decent food for you and your family. Don't sweat it. Let tranquility wash over you. These recipes are a simply a breeze. Notice the bonus: You'll find other recipes on these links that take a little longer than the featured one. Save them for another warm-weather meal when you have more prep time and energy. They say that spicy foods cool you down. 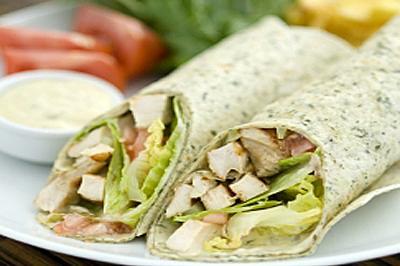 These delectable tortilla wraps offer the right kind of "heat" on a scorching day. Hasty hack: Bet you screamed a little on the inside when you read "chill for two hours?" That's way too much time. Take a deep breath. Calmly place the cream cheese mixture in the freezer for a few minutes. Ah! Feel that brisk air. 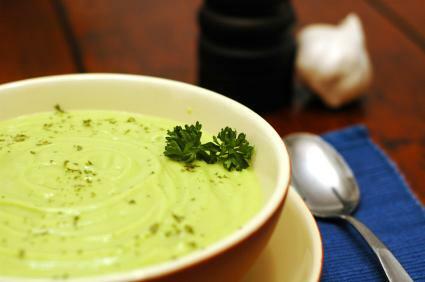 Cold avocado soup is the coolest comfort food you'll ever taste, and positively spectacular--I mean, did you see the recipe's suggested toppings? How divinely matchy with the Spicy Tortilla Wraps, too. Hasty hack: You're already familiar with the freezer trick from the spicy tortilla wrap recipe. You know what to do. Enjoy breathing in the frostiness. So nice. 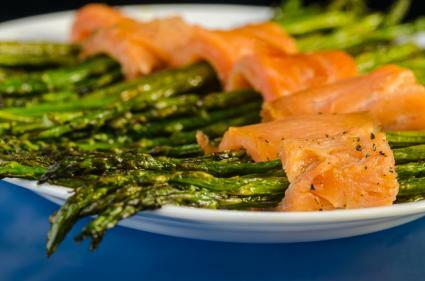 You were probably thinking, "Where on earth can I find a first-rate salmon, dill, and asparagus appetizer recipe?" Your search ends here. Because brilliant minds think alike. Hasty hack: Did you scroll down to see the bacon wrapped version? Not a shabby alternative. A little extra stove time, but it's bacon. 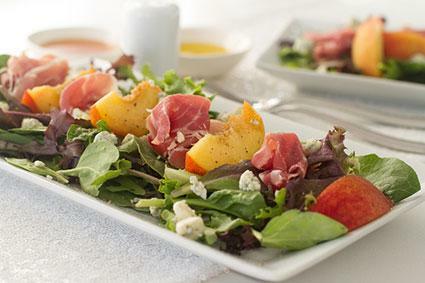 Popeye's not the only one you can impress with spinach peach salad. The bitey, acidic, salty, and sweet flavor will satisfy all kinds of palettes. Hasty hacks: You won't lose points for using a fine bottled vinaigrette instead of making the dressing from scratch. Also, if you can't come by perfectly ripened peaches, try a comparable fresh fruit like strawberries or apples. If you have a dire desire to show off your grilling skills, chill. 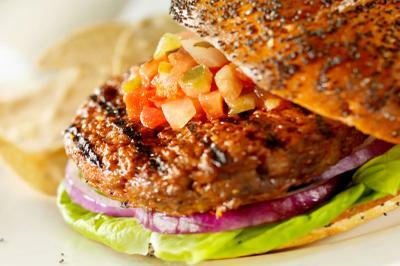 More than just run-of-the-mill grilling, these gourmet hamburger recipes are thrilling. 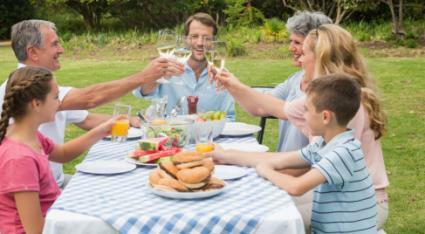 Hasty hack: If you don't have time for the outdoor grill, there's always the fast frying pan. Or try your hand an an indoor grill like a George Foreman. 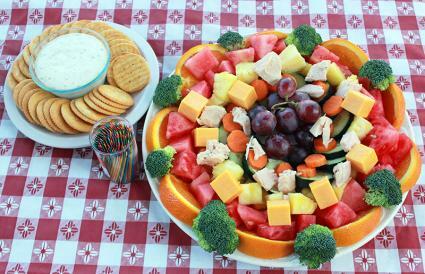 The summer dinner platter offers a quick, tasty meal with casual flair. It may say "summer dinner platter," but it's flexible. According to the time of day, substitute a few of the ingredients. Suddenly, you've got yourself a summer breakfast, lunch, or dinner platter. Hasty Hack: In a rush? Buying the chicken precooked and fruits and veggies pre-chopped will save loads of time. Like magic, you crafted a yummy, summery dish in a few minutes. Plus, you got probably some quality time with the icy air of your freezer and fridge. Not bad for a sweltering, sluggish day. Nice "work," slick.